Located in the gated community of Sawgrass South, this home is the only one level Freeport model with a full front porch. 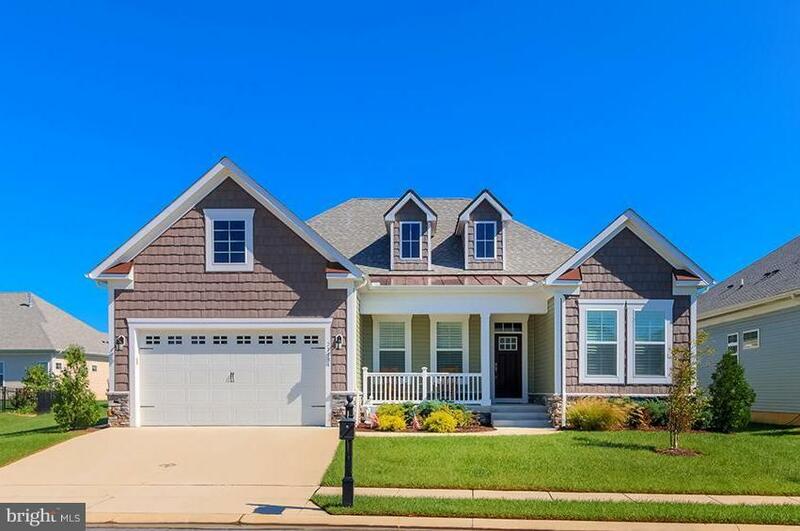 The foyer welcomes you with hardwood flooring and board and batten wainscoting and is flanked by a study with French doors for both light and privacy, and two bedrooms and a full bath. The great room, spacious kitchen and breakfast room flow together for optimum entertaining. Chef's kitchen features upgraded cabinetry, large island, granite countertops and stainless appliances. The great room is highlighted by a gas fireplace while the breakfast room leads to the screened porch and patio, for relaxing and dining indoors and out. 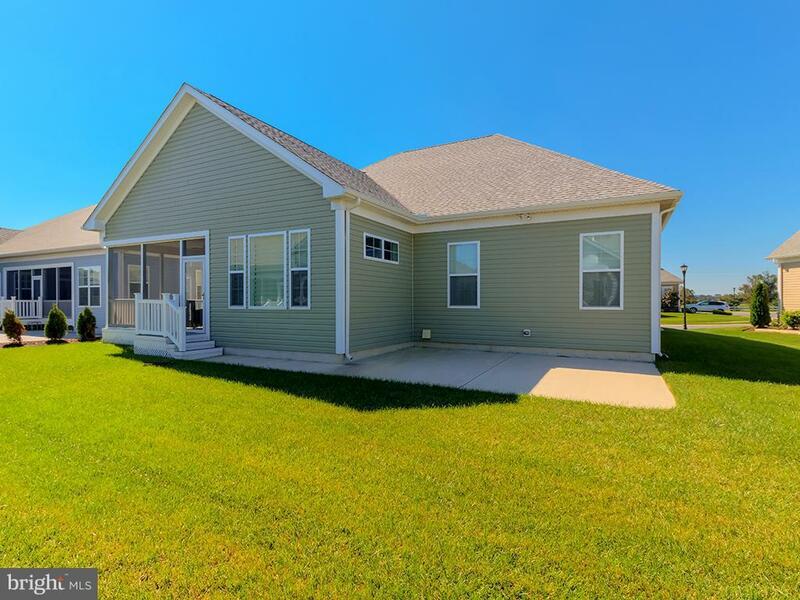 The split floor plan offers a luxury owner's suite with tray ceiling, recessed lighting, spa-like bath with double vanity, tile shower and soaking tub. The two-car garage has a 4 foot extension. 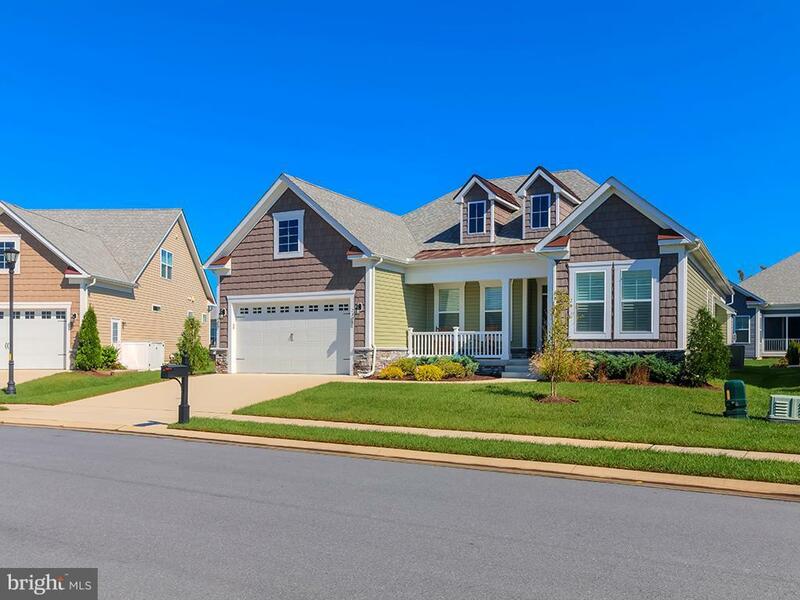 Located just minutes from downtown Rehoboth and Lewes, fine dining and shopping. 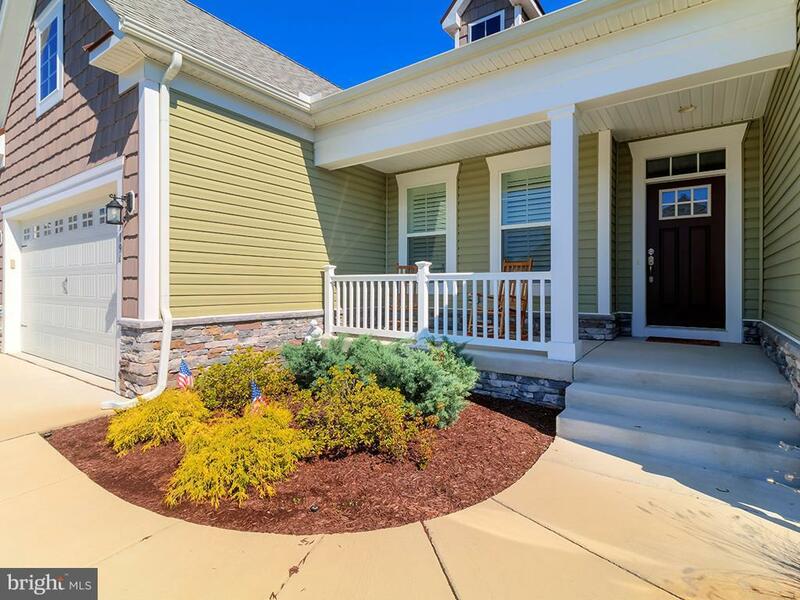 Community amenities include two pools and club houses, tennis and pickle ball courts, walking paths, irrigation, trash pick-up, lawn maintenance and snow plowing.